North Star Critical Care was pleased to participate in the Columbiana County Head Start "Big Truck Day." We joined a wide variety of participants from public safety and the private sector for a fun day with children of all ages. 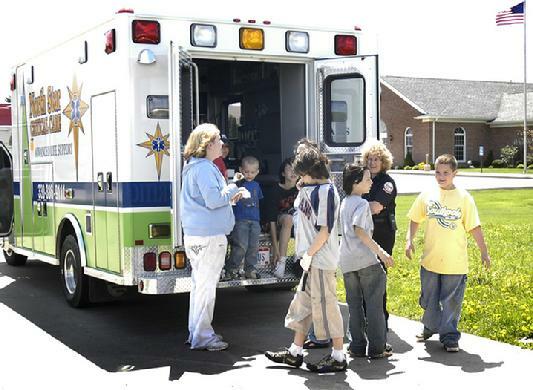 At right Paramedic Judy Winski provides tours of one of our ALS Units and answers questions about EMS and Child Safety. The Line up of "Big Trucks"